Your favorite man of adamantium! Articulated action figure of Wolverine in his original X-Men costume. Extremely detailed on a deluxe Weapon X base. Bring home Marvel's monstrous berserker and your favorite man of adamantium with this Marvel Select release featuring none other than Wolverine! 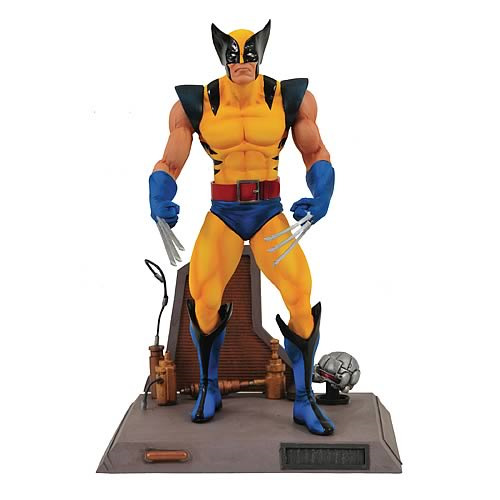 Exquisitely sculpted by Rudy Garcia in the original X-Men costume, this 7-inch scale figure stands just under 6-inches tall, features 14 points of articulation, and includes a deluxe Weapon X base. With this guy on your shelf, your friends will be berserk with envy!